We waste foods and drinks far more than what we think of. We don’t have a good practice to keep records of food and drink wastes on daily basis. In Reading UK the gardening households survey report revealed that nearly 50% of those interviewed replied they don’t know how much in pound they threw away their food wastes in 2015 while only a few said they wasted equivalent to £500 in a year time. Another one thirds said it was less than £200 a year. Many surveyed households found not kept such records which is why probably they haven’t realised that they throw quite a huge amount of foods in bins. Love Food and Hate Waste Charitable Company (https://www.lovefoodhatewaste.com) reports state that, ‘Each month, the average family throws away almost £60 of good food that was bought but not eaten’. The amount of food wastes that we put in bins if could reduce to 50% may save £ 360.00 annually by a family. 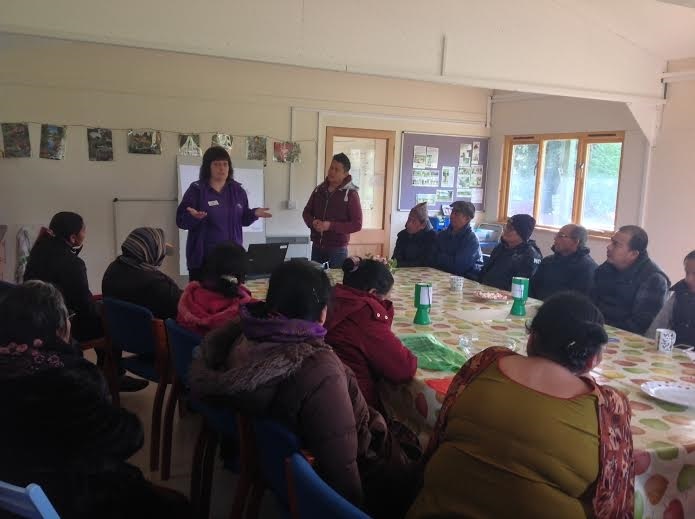 Integrated Research and Development Centre (IRDC), Berkshire CIC has been making awareness local households to keep records of wasted foods drinks. 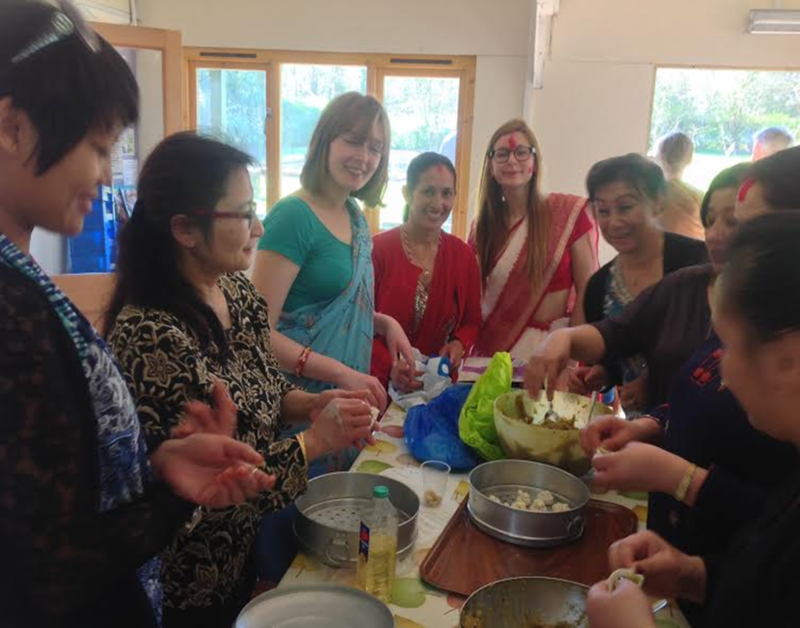 IRDC is a registered local community interests company working in greater Reading areas since beginning of 2015.
it helps learn each other’s culture, prepare cultural foods know each other closely. When we make new friends, meet other friends we get a smile and are refreshed, and one’s mood barometer blooms. British youths wearing Nepali saari and Nepali dhakatopi looks amazing and enjoy with full of fun. IRDC has been providing training, organising picnics, participating at harvests fete with aims at enhancing integrations and promoting exotic varieties of vegetables. Some native British participants experienced for the first time eating the cooked barela and horsegram with colocasia and sel roti with pickles, the Asian origin, native British participants enjoyed a lot and suggested to upscale similar events to other locations. Recycling food wastes through making composts is another activity that IRDC promoting in Greater Reading area since 2015. IRDC providing basic composts making training and supporting with compost bins and which has increased motivation of gardening participating households to use well rotten composts to their backyard gardens or leased-in allotments where participating households found growing varieties of vegetables and herbs such as beans, barela, mustard greens, courgette, potato, tomato, pumpkin, fenugreek, buckwheat, amaranths. Potatoes can be grown twice a year and it does not need much inputs to get good yields. IRDC has put in priority to promote mustard greens, amaranths, asparagus, colocasia and buckwheat in its working areas. Similarly, coriander, onion, garlic, asparagus, alovera found growing by the gardening groups. Other species include rosemary. thyme, parsley, chives. oregano, mint, basil, curry plant, funnel, rocket, sage, tarragon. Also flowers such as; marigold, rose, chrysanthemum, dahlia, tulip, sunflower, chrysanthemum. Compared to the processed foods the garden produces are much fresh and nutritious and help reduce wastes percentages which is why we have been engaging in small scale field trials to recommend suitable varieties of colocasia, amaranths, asparagus, mustard greens, buckwheat for the last couple of years. 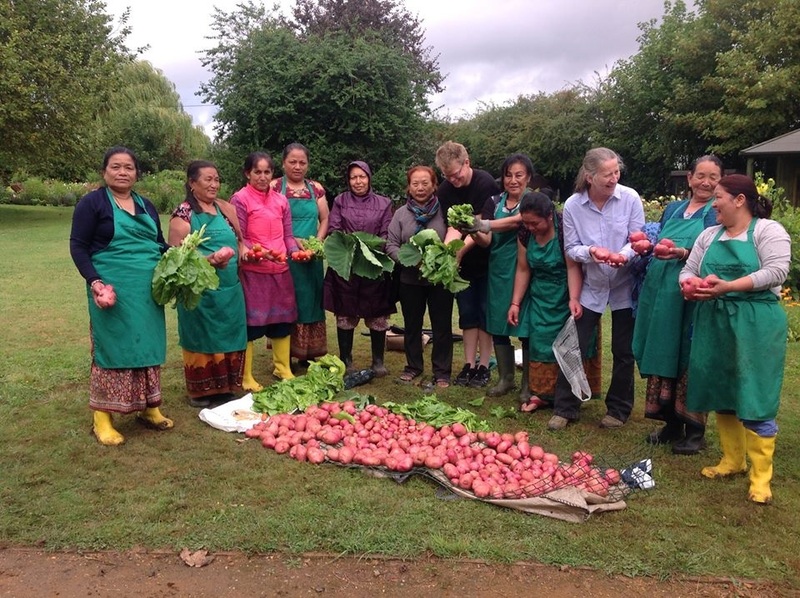 Presently IRDC has been interdependently working with other local organisations such as; Food4Families, Hexham Community Association, British Museum of Rural Life, Reading, Ridgeline Trust. Moreover, the Food and Nutrition Department of Reading University could be a closest referral point to draw fresh research information about foods and nutrition to live healthy whom we agreed recently to hold a joint group workshop about foods and nutrition and share relevant information. 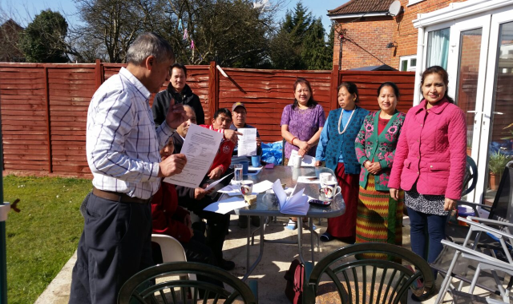 [i] Krishna Neupane, Director of the Integrated Research & Development Centre (IRDC), Berkshire, UK CIC; IRDC is a registered community interest company working through-out Reading areas of Berkshire, England. Will be set up mutually as per convenience for both parties. Will let you know before the session commences. 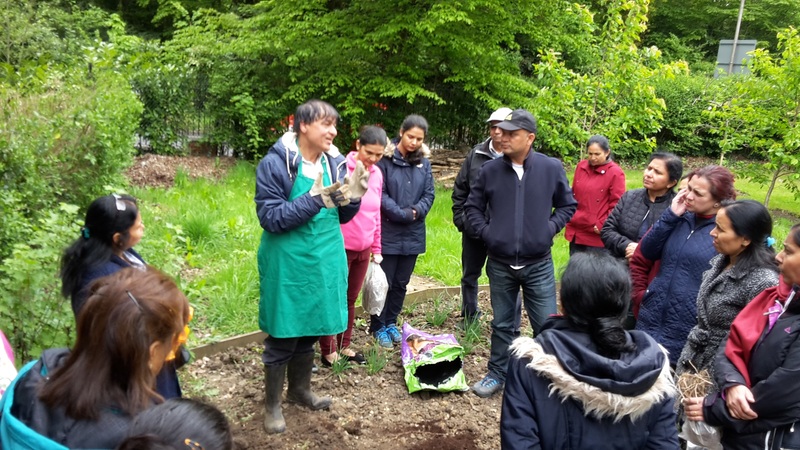 We have set up a multicultural gardening club at Ridgeline Trust Garden in 2013, gardening group allotments at Newcastle Road South Readig, behind the Museum of English Rural Life and Bulmershe allotment plot # 497. 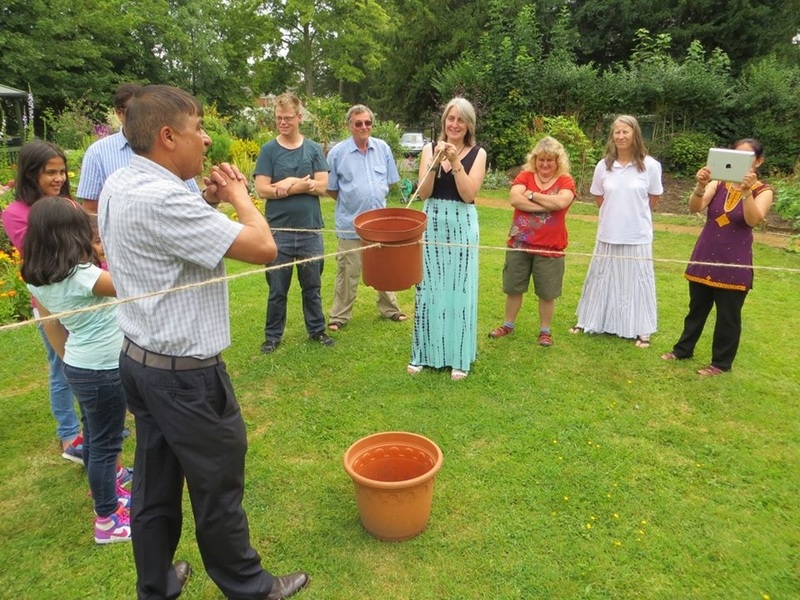 We have provided support to over 100 gardening families throughout Reading. There are high demands of compost making bins, gardening tools however because of sort of fund we haven't yet fulfilled their needs and demands since we distributed 85 bins earlier and started growing such demands.